Youth Exchange Students Kick Off Year! 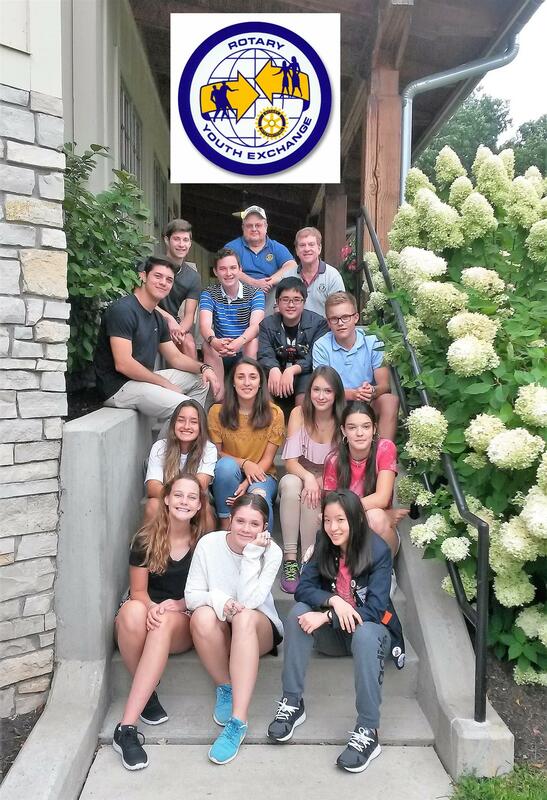 Bob Heydorn, Rotary District 6630 Youth Exchange Chairman, gave a warm welcome to the 2018-19 Inbound and Rebound foreign exchange students for their two-day orientation hosted by the Akron Rotary Camp. "Rotary Youth Exchange builds peace one young person at a time," said Bob. "Students learn a new language, discover another culture, and truly become global citizens." The students, from high schools across Northeast Ohio, began their year of adventure and personal growth, in which they would be exploring diversity of cultures and forming new friendships, with an afternoon pontoon boat tour of the beautiful portage lakes. 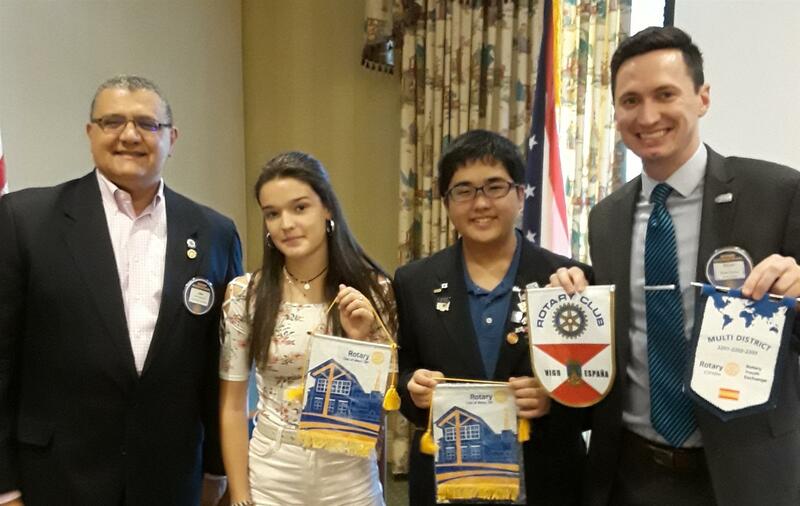 The students our Akron Club is sponsoring are: Ana Crespan from Spain and Sotaro Yamasaki from Japan. Both students visited the Club on August 28th and exchanged Club flags with President John Margida and Club YE Chair Brian Chima. Rotary Youth Exchange (RYE) is a Rotary International student foreign exchange scholarship program for students in secondary school. Since 1929, Rotary International has sent highly qualified young people around the globe to experience new cultures and be youth ambassadors of their local communities. Currently, about 8,000 students are sponsored by Rotary clubs every year. Rotary is a fully accredited member of CSIET - Council of Standards for International Student Exchange: http://www.csiet.org.